Prior to the allegations, 22 percent had a "Very Favorable" opinion of the judge and 18 percent had a "Very Unfavorable" opinion. Today, those figures are 23 percent and 21 percent, respectively. Confirming this sense that not much has changed is the Generic Congressional Ballot. 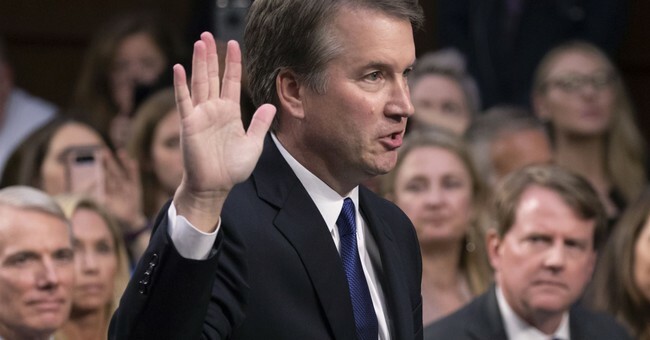 Just before the accusations against Kavanaugh were made public, Democrats had an 8-point advantage (49 percent to 41 percent). In polling since Dr. Christine Blasey Ford went public, Democrats have a 7-point lead (48 percent to 41 percent). Collectively, the surveys confirm the notion that voters view the allegations as a political Rorschach test. Everyone is seeing what they expect (or want) to see. Those who opposed his confirmation before the allegations have another reason for wanting the nomination defeated. Those who support him haven't seen any reason to change their minds. Perhaps the biggest surprise in the data is that just 27 percent are following this story "Very Closely." That's the same modest level of interest there was before the allegations were made. It may be that most voters are just tuning out the entire dispute as little more than political gamesmanship from official Washington. In our surveys, we didn't ask specifically about the allegations or the credibility of either person involved. Partly, that's because this is a fast-moving story and any specific question we asked might have been obsolete before the poll was finished. So, in the interest of reliably understanding the deeper impact of the accusations and responses, we decided on a "less is more" approach. Rather than trying to craft questions about who said what, we decided to focus on the overall response to Kavanaugh and his nomination. The fact that we had a baseline of data from before the accusations made it possible to directly measure the impact of the allegations. As I write this on Wednesday, the Senate Judiciary Committee has scheduled a public hearing for next Monday allowing both Kavanaugh and his accuser to make their case. It is quite possible that those hearings, or events leading up to them, could dramatically shake up public opinion. While that process unfolds, ScottRasmussen.com will keep monitoring the situation. We plan to repeat the same bank of tracking questions before and after the committee hearings. We believe this will provide us the best possible measure of how voters interpret the credibility and the relevance of the information presented for and against the nomination.